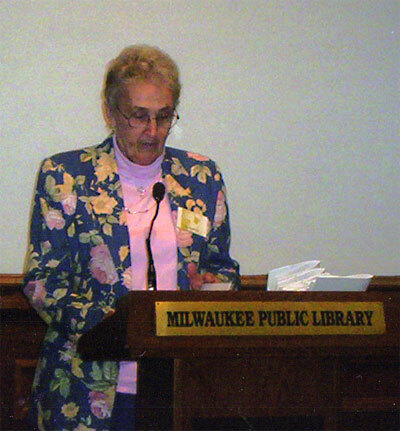 Marion/Mom presented her poem "Hospice Volunteer" at the Poetry From Page to Stage session on 30 April 2006, at the Milwaukee Public Library. She was one of 14 area poets chosen to read their works at a public session that also featured Milwaukee's poet laureate. old face bruised, eyes blackened. 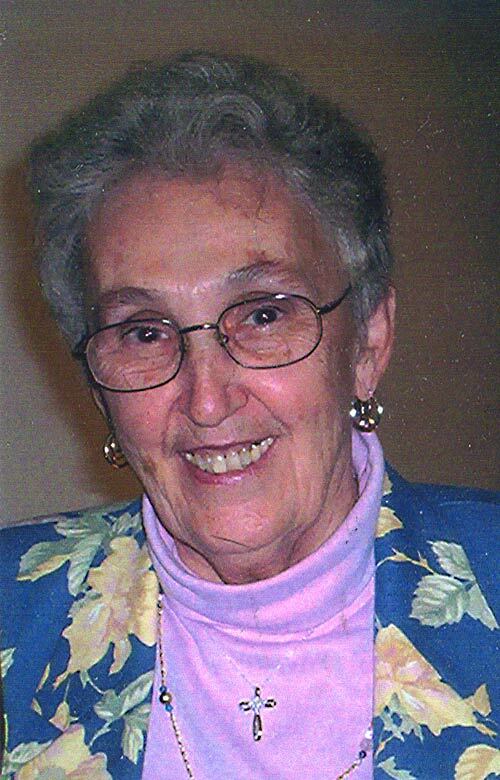 Silently, I pray for her, for me, for us. watching her struggle to breathe. She stops gulping air. I wait. Suddenly I hear the quiet for too long. until a little last shimmer. with only a stranger nearby. 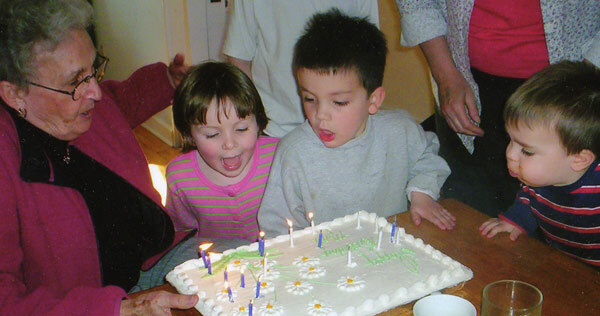 Marion/Mom's 80th birthday bash, with Maura, Max and Peter.